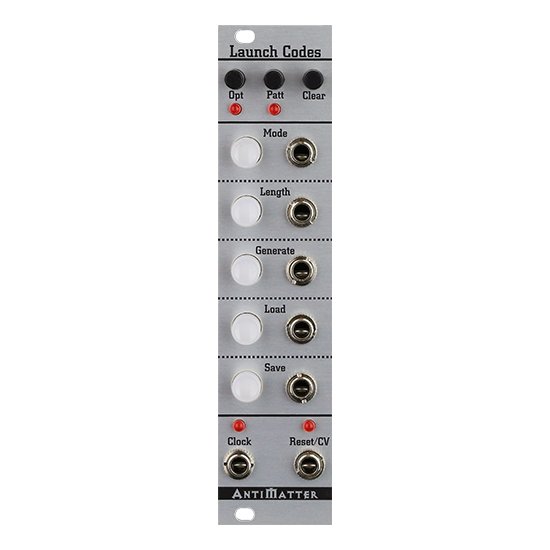 The Launch Codes is a compact modular performance source for manual or sequenced triggering and gating of five separate channels. 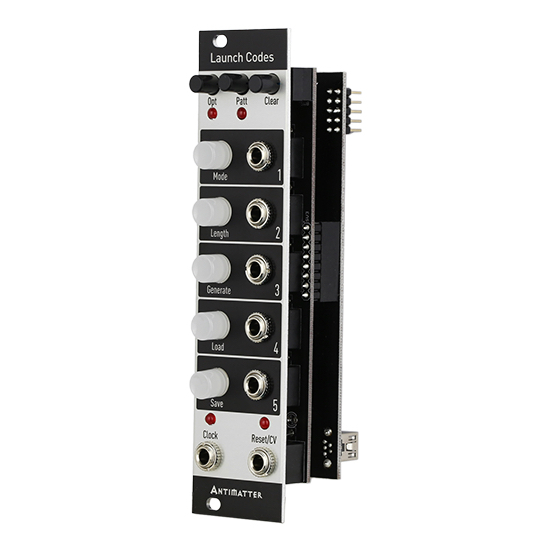 The Launch Codes functions as a realtime manual performance switch controller providing trigger, momentary gate, or latched/toggle gate voltage outputs, selectable per each of the five channels. The settings and states of these channels can be saved and recalled. 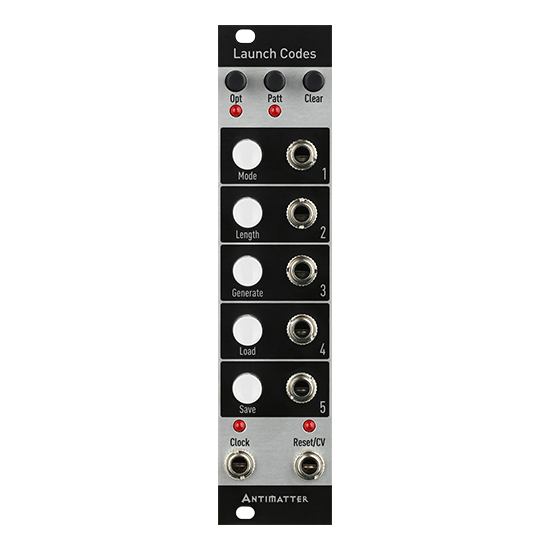 The Launch Codes also acts as a clocked performance sequencer for five trigger/gate events. Sequences are up to 32 steps long for each of the 5 patterns, for a total of 320 steps (20 bars). Recording is always enabled, and sequences are entered by tapping or holding the channel buttons. Patterns can be expressively chained in the order pressed (3­2­4, 4­1­5, etc…). Launch Codes will continually loop through this chain, or a single pattern. 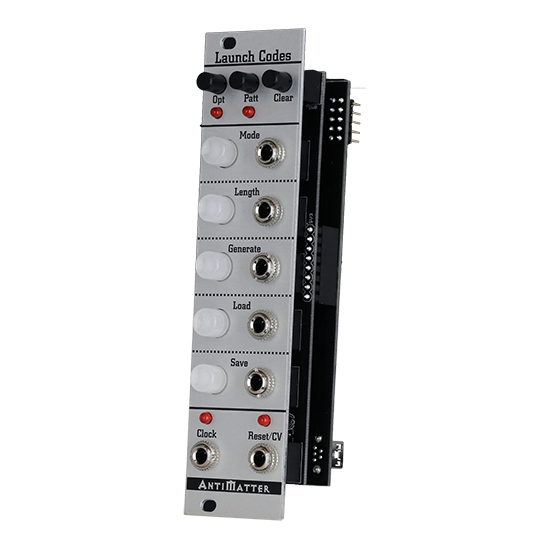 A reset port is provided to reset the sequencer to the first step. A special CV address mode allows the reset port to address the sequence directly through external voltage to modulate the sequence position. 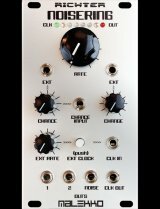 The clock input can be combined with the CV input to generate stuttered, glitchy beats, or to mimic more subtle fills, rolls, and accents. All settings and sequences can be stored in internal memory for future use after power off. The Launch Codes can recall the internal memory at any time.